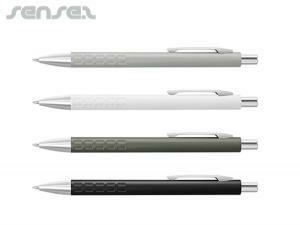 Nothing suitable in promotional pens? 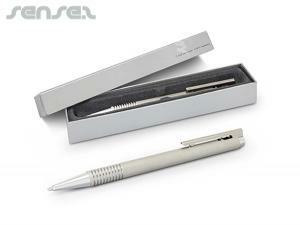 How about custom branded office accessories, logo printed corporate conference items or one of our promotional school supplies? 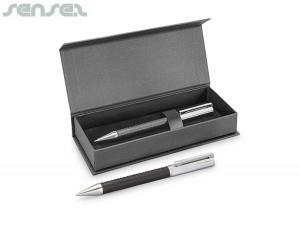 Make signing that important contract or writing that heartfelt love letter so much more poignant, with a pen full of personality. 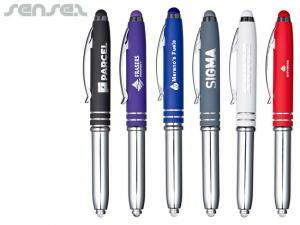 Personalized pens are not only the cheapest promotional items but also look good in any shirt pocket. 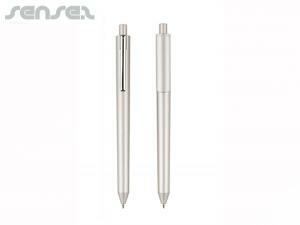 Our range of promotional pens is extensive: custom printed plastic pens, corporate metal pens, fun custom branded novelty like liquid filled pens or floater integrated pens and flag pens and logo printed promotional highlighters. 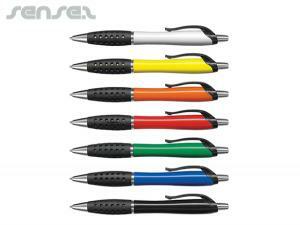 All pencils are available in various shapes and colours with your business branding. 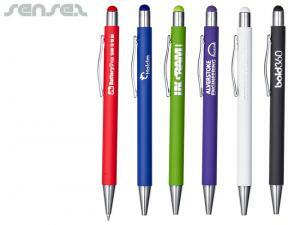 Our range of pens can be printed all over the body for maximum brand exposure or printed on 1 position. 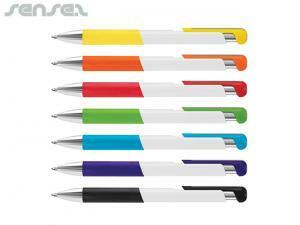 Custom branded Sticky flag highlighter pens or post it note pen sets are a great promo gift give away. 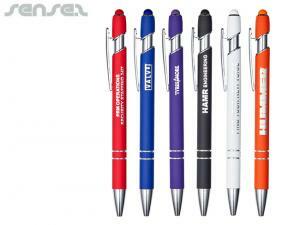 Practical for promotional events are the lanyard pens that come with 2 different pen colours or choose our 4 way pen with your business logo. 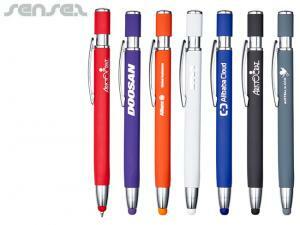 Our customized items also include stylish promo plastic pens like our Avondale pen, bari pen or superhit pen. 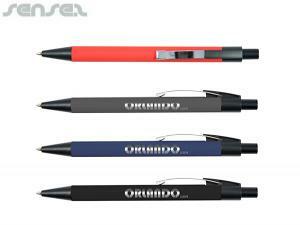 Stylish promotional metal pens are the opera pen, paris pen or orbit pen with custom logo print. 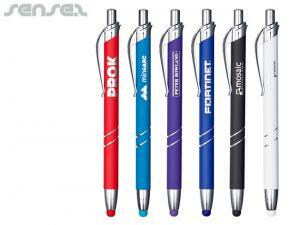 Or choose a practical branded mini pen like the bora pen with promo print, they come including a key ring are available in different colours, what a cute logo item idea! 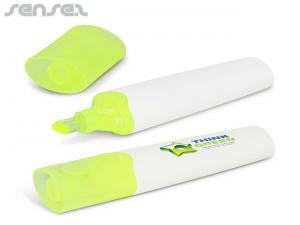 You're after unusual promotional products? 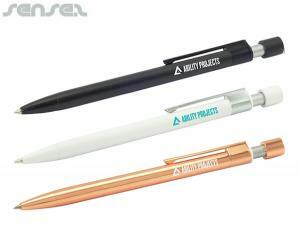 Check out our fun pens like the Jackpot pen, where your custom business logo or design is incorporated into a jackpot style pen and logo print on barrel. 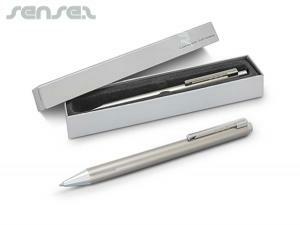 A similar concept is the Decision pen that helps in making decisions. Our range of environmental eco pens is massive. 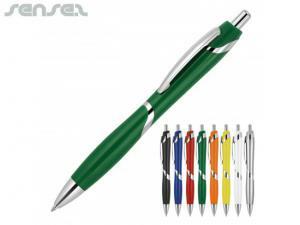 From corn starch pens in various colours to recycled plastic pens with logo print or cardboard pens and newspaper pencils, our range of green , eco and environmentally friendly pens and pencils is unbeatable! 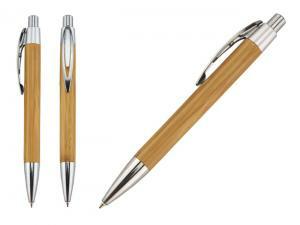 Our prices are the most competitive when it comes to environmental items too, as we just simply like to support the cause! 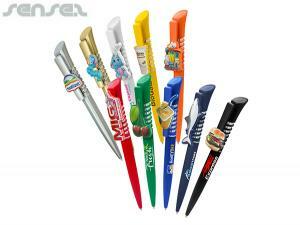 Our promotional bookmark pens are a cheap and cost-effective promotional giveaways, that can be personalized: custom shaped to your design and custom printed all over, this pen can look any way you like it. 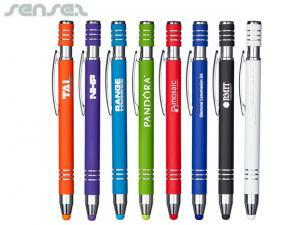 They make great tradeshow promotional items and unique conference gifts. 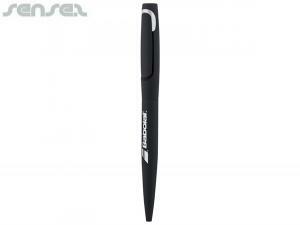 It's practical, as it's as flat as a bookmark and can find a room anywhere. 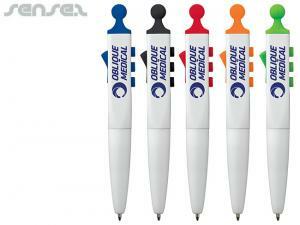 We also have a large range of other cheap advertising promotional plastic pens with logo print. 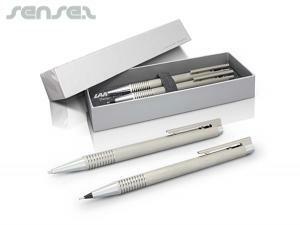 They make great company gifts and add value to any business. 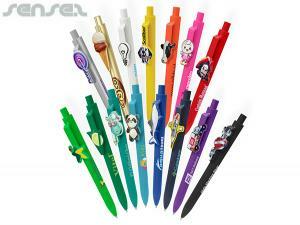 We have custom shaped pens in various animal shapes such as crocodile shaped pen, bird shaped pen, camel shaped pen, cat shaped pen, chicken shaped pen, chipmunk shaped pen, cow shaped pen, deer shaped pen, dinosaur shaped pen, logo printed dog shaped pen, fish shaped pen, whale, shark or dolphin shaped pen, horse shaped pen, own or parrot or penguin shaped pens, cute rabbit shaped pens, snake, chipmunk or tiger and zebra shaped pens or sheep shaped pens. 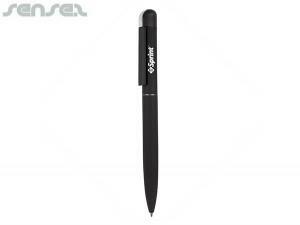 Our range of fruit shaped pens are ideal for drink promotions and flavoured edibles such as orange flavoured chewing gum brands or fresh fruit promotions for supermarkets. 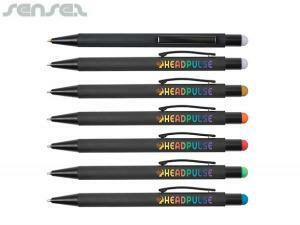 Liquid filled pens with custom floaters are innovative promotional pens and inventive promotional giveaways, as they give you complete creative freedom. 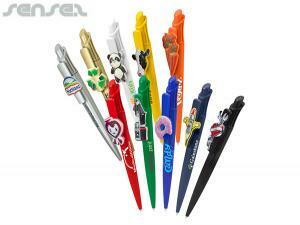 We can custom print the floaters and barrel of the pen. 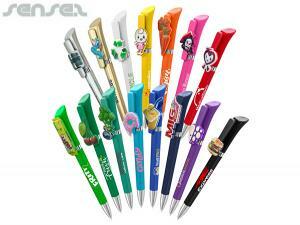 We also have fizzy beer or cola liquid filled pens and pen holders with custom logo print. 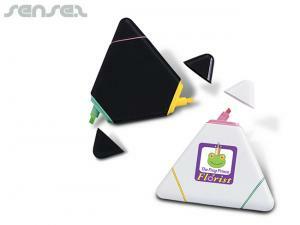 Definitely a creative promotional product for any beverage related campaign! 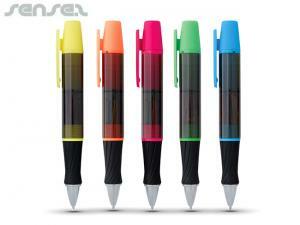 Another fun pen are the ball maze pens in range of colours. Or for law firms choose the promotional gavel shaped pen made of wood. 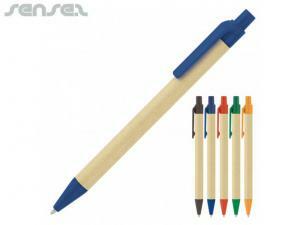 Cute for creative companies or arts related companies are the pencil sets in pencil shaped holder, or choose our pencil blocks that are colour pencils linked together with an allover print- ideal for museums and art galleries or for any product promotion geared toward kids. 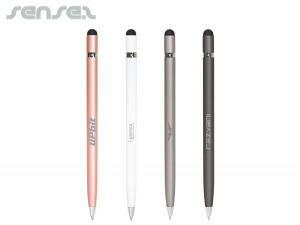 Our recycled newspaper pencils are a winner among the marketing items these days as green branding has become the number one brand image that is pursued and our recycled newspaper pencils look nice and definitely green and environmental. 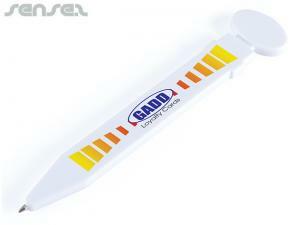 We have produced these for advertising agencies, who just love them. 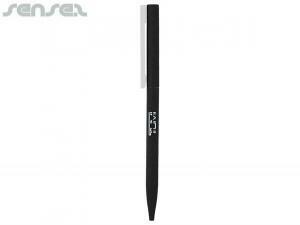 Ideal for charities are the star shaped pencils, or people shaped pencils or number one pencils. 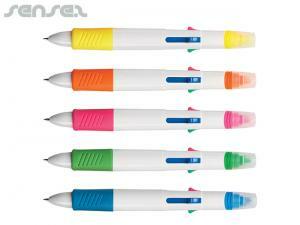 Other pencils include our mechanical pencils or allover printed pencils. 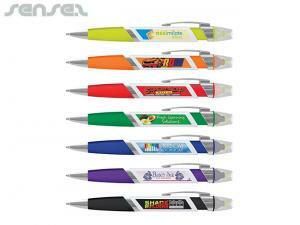 Our selection of custom promotional pens is huge and caters for simply any target audience. 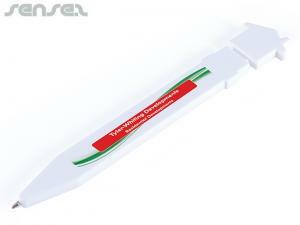 If your message is rather elaborate, choose our banner integrated pen, or flag pen or information pen that holds a custom designed banner card rolled up in the barrel. 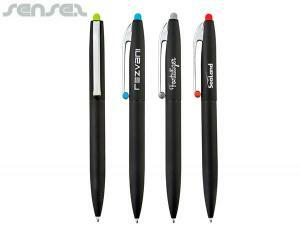 They are great for events where event maps are needed, or for product information and as a great promotional sales tool. 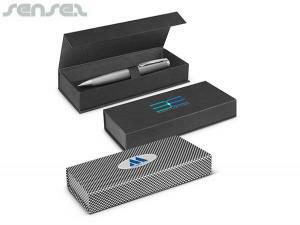 For a fun and interactive promotional product with logo, choose our projector pen, it projects a series of up to 8 photographs of 8 frames onto a wall and is sure to attract attention to your brand. 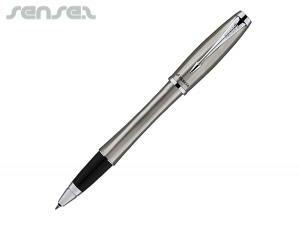 Another jaw dropper of a pen are our strip pens, or reveal pens, that reveal anything you like, commonly it's a lady losing her dress and exposing her body behind the reveal area of the pen. 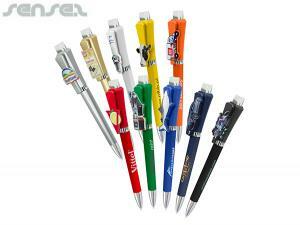 Custom branded with your business logo or with your own design, these promo pens are sure to trigger imagination and are sure to be kept as a successful brand awareness tool. 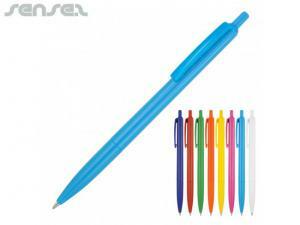 Promotional coloring pencils and crayons with promo printing are ideal for kids products giveaways, they are the cheapest promotional item, fun, will have a life and give you value for money. 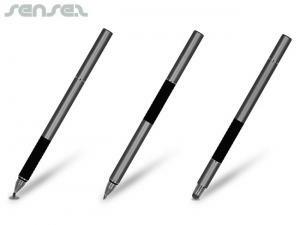 An innovative pen is the flexible pencil that we have, which twists and turns to your liking. 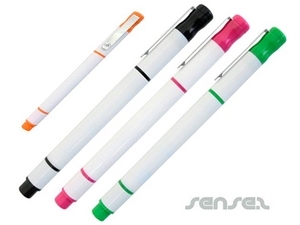 Cigarette shaped pens or syringe pens and syringe highlighters with custom logo print make great advertising promo giveaways for health related promotions. 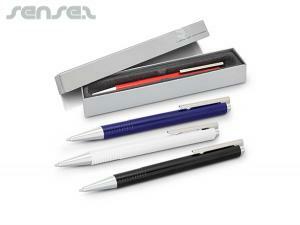 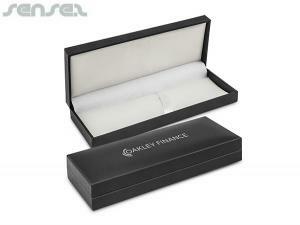 USB memory stick pens are ideal for office related corporate gifts. 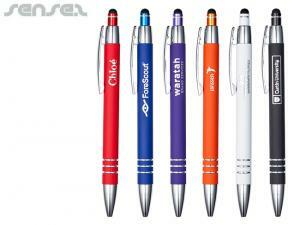 Our range of USB pens and USB flash drive pens come in various styles to choose from, all with your logo engraved or printed. 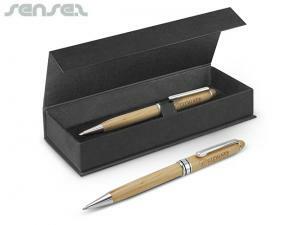 Parker pens are classic corporate gift pens. 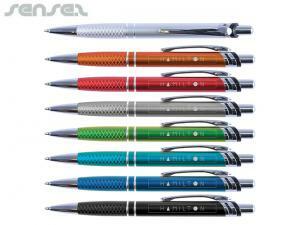 The range includes corporate gift Parker Pens, Parker Jotter pens, Parker Gift pens & Parker Sonnet promotional custom printed pens.